The Crossover picks out early winners and losers from the NBA free agency period. NBA Free agency arrived with a series of bangs: Basketball’s best player moved to Los Angeles, the defending champs added a fifth All-Star to their starting lineup, the Thunder and Rockets kept their superstar marriages intact, and the league’s 30 teams combined to hand out more than $1 billion in contracts in less than four days. With so much action in such a short period of time, let’s run through the early winners and losers from the 2018 NBA free agency period. LeBron James’s decision to sign with the Lakers means that the star-studded franchise can now fill two Mount Rushmores with top-15 All-Time players: Wilt, West, Kareem, Magic, Shaq, Kobe, and now LeBron. Simply mesmerizing. While centering the discussion on James’s place alongside his Hall of Fame predecessors is only natural, doing so misses half of the story behind his four-year, $154 million agreement. He’s not only walking in the footsteps of giants, he’s parachuting in to rescue the worst team of the last five years. That’s not hyperbole. In the five full seasons since Kobe Bryant tore his Achilles in 2013, the Lakers have lost 284 combined games, the most of any team during that time. More than “The Process” Sixers. More than the Magic, Suns and Kings. More than Phil Jackson’s Knicks. More than the Nets! Remarkably, they’ve lost more than three times as many games as the Warriors over the last half-decade. The arrivals of Brandon Ingram and Lonzo Ball in the last two lotteries offered flickers of hope and hype, but the Lakers have been—by the simplest measure of team success—the NBA’s rock-bottom dweller. That ugly track record—five straight lottery trips, Bryant’s multiple season-ending injuries, D’Angelo Russell’s misguided videography adventures, Byron Scott’s haplessness—shouldn’t be forgotten in the wake of James’s long-anticipated arrival. From a purely basketball standpoint, Lakers executives Magic Johnson and Rob Pelinka were at a major disadvantage compared to James’s other suitors, aside from the depleted and wheezing Cavaliers. Teams that have been as bad for as long as the Lakers rarely dream about landing a top-10 free agent, let alone a four-time MVP who is trying to unseat Michael Jordan as the greatest basketball player of all-time. Landing James given these circumstances should grant the Lakers immunity from criticism for the rest of their head-scratching moves. They won’t be 2019 contenders unless they complete a trade for Kawhi Leonard, but they’ll be entertaining and relevant for the first time since Bryant’s memorable 2012-13 campaign. Big, big, big win. To be clear, James won on many important levels with his decision. He gets to live and play in a huge, desirable market. His successes and failures will be the league’s biggest story next season. He will likely lead the NBA in jersey sales and All-Star votes. He will get to take his off-court and business endeavors to new heights. And, importantly, his second exit from Cleveland generated a far more appreciative and positive response than did his first exit in 2010. A year spent sprinkling breadcrumbs about his L.A. plans, playing in all 82 games, and putting together a monster 2018 playoff run led most observers to conclude that he had earned the right to depart without facing mass jersey burnings and intense criticism. Even Cavaliers owner Dan Gilbert managed to put out a gracious statement, which included plans to retire James’s jersey. But James’s many victories were offset by a harsh and inescapable reality: His move to LA failed to narrow the gap with Golden State and it made his path to a fourth title even more difficult. When viewed through the “Chasing the ghost from Chicago” prism, James could have done worse by re-signing with Cleveland and running it back with a wobbly cast that lacked chemistry. At the same time, he could have done better: Houston, San Antonio, Boston and Philadelphia all offered better shots at winning the 2019 title than did L.A.. What’s more, his best-case scenario with the Lakers, which included landing Paul George and Kawhi Leonard, fell apart when George re-signed with the Thunder on July 1. Then, to top it off, James’ mountain got even steeper once the Warriors plucked DeMarcus Cousins on the cheap. If L.A. doesn’t land Leonard, James could easily see his streak of eight straight Finals trips end with a first-round or second-round exit. It will be hard to spark another round of GOAT debates if he’s at home in May. Over the last two days, as the Lakers signed the uninspiring likes of Rajon Rondo, Lance Stephenson and JaVale McGee on one-year deals, the Lakers’ conversation shifted from building out the 2018-19 roster to 2019 free agency targets at an alarming rate. How often has James been in position where many pundits are ready to write off his team as a possible contender before the season even begins? 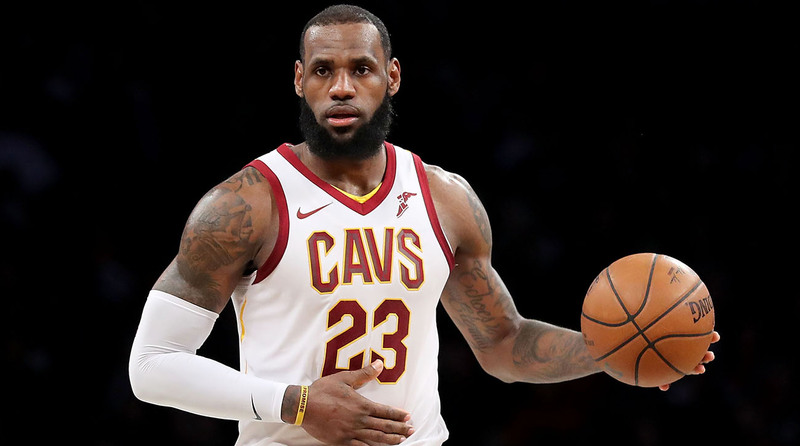 The Lakers’ future now hinges on this question: “Which stars wants to play with LeBron James?” The answer used to be “virtually everyone.” Given Kyrie Irving’s trade request and George’s decision in back-to-back summers, it’s fair to wonder if James’ influence is waning. The discussion concerning conference disparity has ground to a standstill because it’s been going on for so long. West supremacists are quick to point out that 14 of the past 20 titles have been won by West teams, that the West could field two All-Star teams with better talent than the East’s top team, that the West’s No. 9 seed would often would make the playoffs if the top 16 teams were selected regardless of conference, and that the Western Conference finals sometimes features better drama than the NBA Finals. East apologists have countered by saying that conference imbalances may be “cyclical,” that protecting regional rivalries and the traditional West/East playoff format are important, and that James’s presence in the Finals, even if on a weaker team, is always in the best interests of the NBA. James’s East-to-West shift will give this conversation a much-needed jolt. As it stands, as many as 12 teams in the West have serious playoff aspirations. In the East, only three teams—Boston, Philadelphia and Toronto—are factors at all in the title discussion. One might even argue that the West’s playoff bubble race will be more interesting than the race at top of the East, or that the West’s first-round match-ups will be more entertaining and meaningful than the East finals. As always, the pocketbook discussion will ultimately matter most. The NBA’s postseason ratings seem destined to take a hit if James fails to reach the conference finals for the first time since 2010. Could a dud and imbalanced 2019 postseason be enough to nudge the NBA towards change on this issue? Losers: Aspiring Eastern Conference All-Stars? Keep an eye on the NBA’s handling of the All-Star Game for hints that it might push for changes on the playoff format. Last season, the NBA tweaked its All-Star voting procedure by doing away with East and West teams, replacing them with two teams selected by captains. However, the changed process maintained a balanced pool of 12 players from each conference. The NBA would be wise to take the next step in 2019 and eliminate conferences entirely from the All-Star procedure. That way, more-deserving West players aren’t snubbed for less-deserving East players, a chronic and preexisting problem made worse by James’s move to the West. For context’s sake, here’s a rough look at the potential All-Star pools. If the top 24 players were selected regardless of conference, as many as 17 or 18 could come from the West. The NBA’s premier talent should be afforded a fair shot at the league’s biggest midseason showcase. Digging into an analysis of Golden State’s summer quickly feels like kicking the rest of the league while it’s down. To be sure, the anguished complaints that followed DeMarcus Cousins’ signing with the champs on a one-year, $5.3 million bargain deal reflected growing unease about the league’s lack of competitive balance. Four All-Stars in a single starting lineup already provoked a lot of anger. Five, then, was a bridge way, way too far. The Warriors are perfectly positioned to manage Cousins’ rehabilitation and personality: They have the surrounding talent to make his life easy and the organizational structure to cut their losses if things go sideways. Meanwhile, they can be patient as he returns to form before benefiting from what will be a contract-year run through the postseason. But this isn’t just about the Cousins heist. The Warriors retained Kevin Durant without drama and re-signed Kevon Looney for peanuts, meaning their playoff rotation will return without any notable hits. Elsewhere, the superstar musical chairs played out as well as they could have hoped. With James, George and Chris Paul as free agents and Kawhi Leonard unhappy, there was a strong possibility that a new Superteam formed somewhere. That didn’t happen. Instead, James’s solo leap of faith to the Lakers opened the possibility that the Warriors won’t even need to get through him en route to the 2019 title, and George’s return to OKC won’t scare the champs. In Houston, meanwhile, Paul returned but Trevor Ariza didn’t, thereby widening the gap between the two 2018 West finalists. Out East, Boston and Philadelphia are both ascendant, but neither has added a major difference-maker in July yet. As a result, Golden State’s seat on the throne is as cushy as ever. Forecasting some degree of regression from the Rockets is a safe bet. After all, they’re coming off a franchise-record 65 wins powered by an MVP season from James Harden and quality contributions from numerous new faces, including Chris Paul, who relished their newfound might. Trying to maintain that level of intensity for a second season is difficult, especially knowing that the Warriors will be waiting in the playoffs no matter what. Houston closed June on Harden’s MVP victory tour, but July has been choppier. Trevor Ariza, an unheralded full-time starter for the last four years, departed for Phoenix and that will hurt. Paul returned without drama, but his four-year, $160 million contract will carry him through his age-36 season and, in conjunction with Harden’s own max deal, will crimp the Rockets’ ability to add star power. Finally, center Clint Capela has yet to reach a tidy agreement in restricted free agency. Throw in Golden State’s addition of Cousins, who presents match-up issues for Houston’s switch-happy defense, and there’s good reason to wonder whether the 2019 Rockets will be able to push the Warriors as hard as they did in 2018. It’s not clear whether Paul George will go down as a winner or a loser for his decision to re-sign with the Thunder on a four-year, $137 million deal. His first season in Oklahoma City ended on a massive thud, with him bricking his way through the end of a first-round exit, and his return has helped push his team’s payroll well above the luxury-tax line. How much better can the Thunder reasonably expect to be next season? Why did George suddenly hit the eject button on his long-rumored desire to play for the Lakers? How long will ownership be willing to sustain such a high payroll if no meaningful progress is made towards contending? Those are all major questions that will hang over George’s decision going forward. For GM Sam Presti and Russell Westbrook, though, George’s return is a major coup. If George had left, Westbrook would have been back to life as a stranded superstar, possibly on a 2019 lottery team. Presti, meanwhile, would have been in line for vicious second-guessing over his decision to trade for George last summer. Both now get the chance to prove that the Westbrook/George/Steven Adams core can make more noise without Carmelo Anthony serving as a high-priced muffler. They also get nice reputational boosts: Westbrook can’t be accused of chasing away both Kevin Durant and George, while Presti’s full-force recruiting effort shows he learned important lessons from Durant’s exit. Anthony Davis has seen darker days in New Orleans: Ugly lottery trips, multiple injury issues, and the awkward firing of former coach Monty Williams. Fresh off a career year and his first playoff series victory, this should be a triumphant time for the 25-year-old perennial MVP candidate. Instead, he finds himself dealing with another spin on the personnel Merry-Go-Round that has revolved around him during his six years with the Pelicans. Out: DeMarcus Cousins and Rajon Rondo. In: Julius Randle and Elfrid Payton. There’s a decent case to be made in favor of both sets of moves. 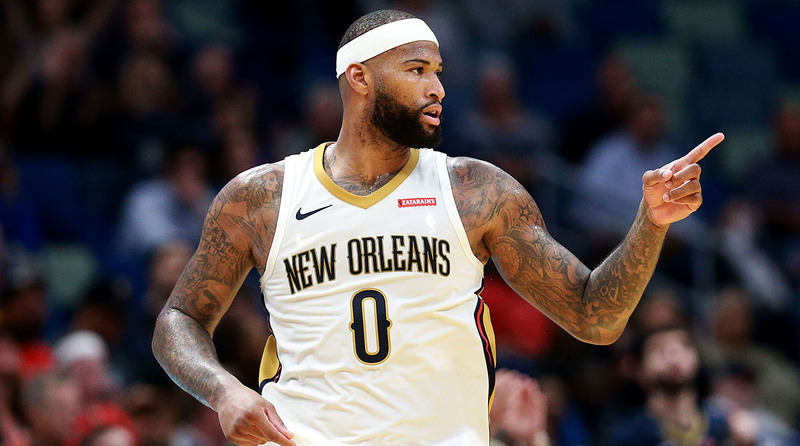 Cousins is coming off an Achilles injury and was a somewhat awkward stylistic presence next to Davis, while the 23-year-old Randle is injury-free and a clean fit in the Pelicans’ up-tempo style. Rondo, meanwhile, was a crucial figure in New Orleans’ playoff push, but the Lakers, desperate for name-brand talent around LeBron James, nearly tripled his salary. The 24-year-old Payton has shown some signs of life during his four-year career and he arrives at a fraction of Rondo’s cost. For Davis, though, these replacements make it seem like the franchise’s story keeps changing. One year, they bet the farm on Cousins. The next, he’s gone in a huff, alleging that he didn’t receive any offers aside from the Warriors’. One year, they’re hyping up the pairing of Rondo and Jrue Holiday. The next, Rondo’s playmaking is a distant memory. With Davis’s free agency on the horizon in 2020, now is the time New Orleans must be making incremental progress and competing for true difference-makers to support its franchise player. Instead, the Pelicans are stuck trying to fill in the gaps, as always, and left to pray that Davis and the resurgent Holiday can duplicate their outstanding 2018 campaigns in an even tougher Western Conference. DeMarcus Cousins and Competitive Balance: Should the NBA Act? Get this: Through Wednesday, this summer’s top five earners (Chris Paul, LeBron James, Paul George, Aaron Gordon and Kevin Durant) had pulled in more money together than the rest of the 40+ free agents that reached new deals combined. In other words, the superstars (and Gordon) got paid, while everyone else was left to fight for the loose change. In many cases, that meant middle-class veterans were left to settle for one-year contracts in hopes of a more lucrative payday in a looser cap environment next summer. Under these extreme conditions, who would have guessed the Nuggets forward Will Barton would rank sixth in total contract value among players signed in the first four days of free agency? Barton, 27, is a fine player coming off a career year (15.7 PPG, 5 RPG, 4.1 APG), but he’s hardly a household name. Regardless, Denver rewarded him with a four-year, $54 million contract, guaranteeing him far more money than the likes of Trevor Ariza, Avery Bradley, Tyreke Evans, Marco Belinelli and others. On top of that, the Nuggets traded Wilson Chandler to Philadelphia, clearing the path for Barton to start full-time. Well, well, well, well. If it isn’t the sad-sack Wizards, trying to one up themselves with a summer of self-parody. The enduring image of Washington’s 2017-18 season featured John Wall and Marcin Gortat in a heated debate over defensive assignments, as a glum Bradley Beal sat with his toweled head in his hands just a few feet away. Something clearly had to give in the Wizards’ messy locker room, so of course GM Ernie Grunfeld’s solution was to trade away Gortat and immediately introduce three new potential irritants: Austin Rivers, Jeff Green and, oh yes, Dwight Howard. That string of additions speaks for itself, and coach Scott Brooks will have his hands full trying to coax productive, consistent and team-oriented play from his retooled roster. Howard represents the biggest challenge: Washington needs to play him real minutes after trading away Gortat but he’s a shell of his former self and has struggled to adapt to the NBA’s modern style of play. Most alarming for Brooks, though, is Howard’s uncanny ability to blow up his head coaches. Check out this astonishing track record. All told, Howard is on his sixth team in the past eight seasons and his six previous coaches all left those teams during his final season or within one year of Howard’s departure. There are two overlapping explanations for that reign of terror: 1) He’s incredibly difficult to manage, and 2) He’s become a last-ditch option for desperate organizations. Either way, eek.